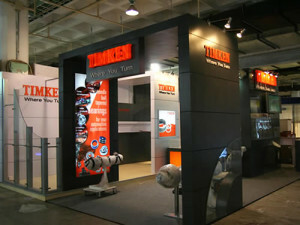 Timken offers the most extensive line of tapered roller bearings available anywhere in the world. Tapered roller bearings are uniquely designed to manage both thrust and radial loads on rotating shafts and in housings. We manufacture nearly 26,000 tapered roller bearingcombinations – in single, double and four-row tapered roller bearing configurations. Customized geometries and engineered surfaces can be applied to these tapered roller bearings to further enhance performance in demanding applications. To learn more about the most common types and sizes of tapered roller bearings we offer, simply click on a link below. Download 2D Drawings and 3D Models / Preview 2D and 3D representations of Timken Tapered Roller Bearings; then, download them to your computer, request that they be sent via e-mail, or insert them directly into your CAD system.